"I was nine-years-old. I remember my mum screaming in the house when we scored," said defender Dejan Lovren, recalling Croatia's 2-1 win over the Netherlands in 1998 that secured third place. "We can beat that, definitely, but we need luck. We have a good opponent in the next round, it will be difficult." 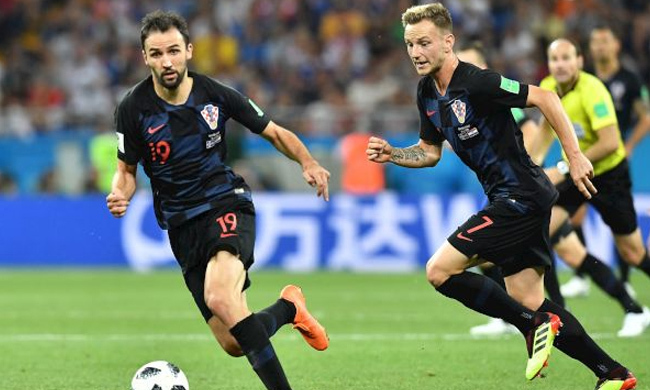 In addition to scoring a superb long-range strike against Argentina, Modric has been outstanding in Russia, as has fellow midfielder Ivan Rakitic. But the 'old guard' has been complemented by a younger generation – such as Ante Rebic, Mateo Kovacic and Marcelo Brozovic - who all play in Europe's top leagues. "We know that we don't seem like the most fearsome bunch to go up against," said midfielder Thomas Delaney. "We're not going to lose 5-0 by trying to play tiki-taka football. But people shouldn't get used to seeing us play like we did against France. It's seldom that we play like this, and the game against Croatia will be a very different spectacle."